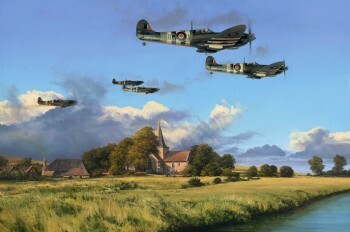 Fighter Ace Johnnie Johnson leads MkIX Spitfires of his 144 Canadian Wing back to their base at Ford after a long day of operations over Normandy shortly after D-Day. 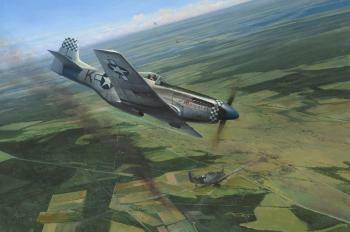 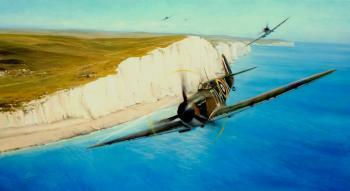 The wing flew constant fighter sweeps throughout the Normandy Invasions, before relocating to France on June 15th1944. 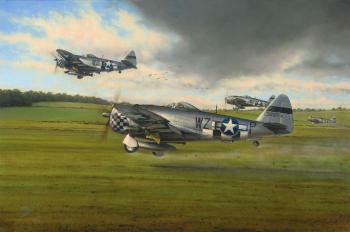 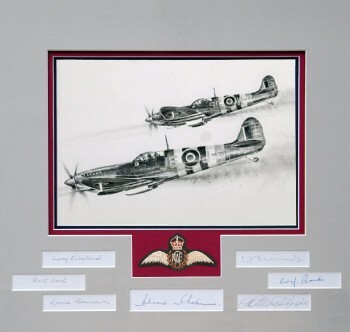 Richard Taylor commemorates the valiant contribution of the 78th Fighter Group with a fine new rendition showing P-47D Thunderbolts departing Duxford en route for the north coast of France, and a low-level strafing mission. 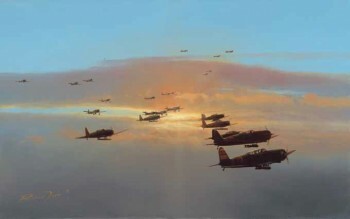 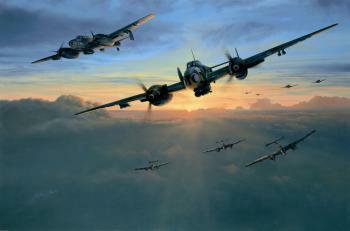 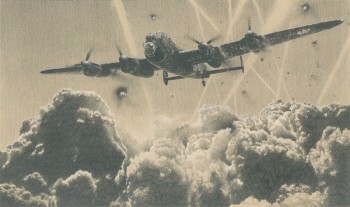 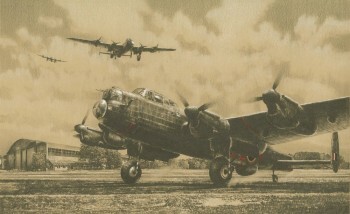 Richard Taylor brings to life a spectacular dogfight over Eisenach on 24 March 1945 when the doughty Clyde East, returning from a recce over Schweinfurt and with photos already in the can, takes on a group of six Me109’s.